Painting instructions come in various forms. As in anything else, when all else fails READ THE INSTRUCTIONS! When I first started my own painting business I really lacked in the estimating department. Back then I could have really used some instructions. I spent several years [guestimating] my jobs. And eventually creating a fool-proof system that guarantees a profit every time. 1. ROLLER COVERS HAVE INSTRUCTIONS ON THE PACKAGE – this helps you to do a good job rolling out walls and ceilings and choosing the right roller cover for the right paint. 2. READ THE INSTRUCTIONS ON THE CAN – this helps you to know things like drying time, re-coat time, which primer to use, which roller cover thickness to use, etc. 3. 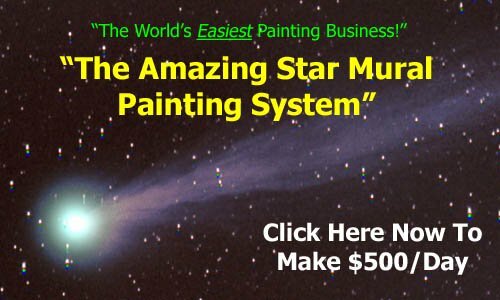 ESTIMATING AND ADVERTISING – these are mandatory instructions if you want to run a painting business. I do a lot of custom painting for homeowners and small businesses. Estimating and advertising is the biggest part of it all. Get this right and the rest falls in place. 4. NEW COATINGS – many contractors like to keep up with the latest paints and primers on the market – especially with industrial painting. With this type of painting (which I do not personally do) you have to keep up new or different coatings for various projects or new applications. 5. 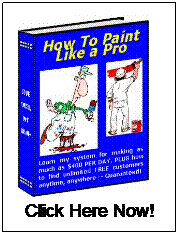 SPRAY PAINTING – this type of painting is relatively simple. You will need to know things like choosing the right size sprayer, the right spray tip, thinning ratios if any, etc. Enjoy this article about painting Instructions? Go here for more handy tips.